We hope you enjoy time your in Melbourne, whether its short or long the key is to make the most of it and have a rough plan of what you aim to do. Here’s 7 must do actives while your in Melbourne, if your confused talk to a backpacker travel agent or other fellow backpackers. If you have any recommendations please send them through. The eureka skydeck offers a stunning 360 degree view around Melbourne. It’s a great way to get a feel for the city and start to understand what Melbourne has to offer. The grid structure of the city will become apparent as you look down from the 88th floor. Prices start from $18 but if you book a great ocean road tour through one stop adventures you will get give you a free eureka skydeck pass! That’s an exclusive offer fo fruit picking jobs members. Too easy. Penguins in Australia, yes there is! Phillip Island is home of the World largest little penguin colony and every evening you can see them make their way to the shore. Visiting Phillip Island gives you the opportunity to hand feed wallabies and kangaroos, get a close up photo with a koala, see wombats and don’t forget the “ Tassie Devil” . Don’t forget to pop past Cape Woolamai surf beach before checking out the Koala conservation. Ofcourse the famous penguin parade is a must do as you watch Victoria’s largest colony of penguins return home from the sea. Watch them waddle up the beach and return to their burrows as the sun sets on a magnificent day. Even after that you see many a goon bag flying around, fire performers, live music shows, exotic food on sale, it’s just a great relaxed way to enjoy a thursday night. Aussie’s love a drink there’s no doubt about it but who can blame us our wine is so bloody good! Trying to local fruits is thing to do especially the finished product. Try to visit as many wineries as you can and ensure to leave early so you don’t need to rush. Having a designated driver is imperative and if you want to take the stress out of it just go on an organised tour designed for backpackers . This will save you using your all data on GPS getting locations ( these wineries are in the middle of nowhere) and fighting over who is the designated driver. Melbourne is Australia’s home of sports, from the AUstralia Open, Australian Rules Football ( AFL), National Rugby League ( NRL), Super Rugby, A League, National Basketball league ( NBL) you will find a sporting event of interest without looking to far. We may have also forgotten to mention the Formula 1 Melbourne Grand Prix or the Moto GP at Phillip, the list goes on. Whatever you fancy you’ll find something! Make sure to get a pie with sauce when you go to the football! “The Prom” as it is known to locals is home to 50 percent of Australia’s bird life and there’s more kangaroos emu’s and wombats than you can poke a stick at. Wilsons Promontory has many spectacular walking tracks through temperate rainforest and yes there is gold at the end of the rainbow. You’ll be in awe of the panoramic views from some of the fantastic viewing points. Don’t forget to visit the singing sands of “squeaky beach”. Situated on the southern most point of mainland Australia it is truly one of the most spectacular spots in Victoria and makes for a great day tour or a camping trip. It doesn’t get much more iconic than this. Maginificent scenery, Amazing Landmarks and an abundance of wildlife are just a few of the reasons that make the majestic winding path of the Great Ocean Road one of the best drives world wide. Many people single day trips while others do the whole stretch of coast to Adelaide over a several day tour, this is a great way to save on a flight and see the beautiful coastline. Whatever you do your on to a winner. Are you confused about travel? Confused where to go? What to do? Talk do a dedicated backpacker and working holiday travel expert! Say your a fruit picking jobs member and you’ll get $10 off any tour and a host of other discounts. FruitPickingJobs.com.au is a community designed to create transparency within the Fruit Picking and Harvest work sector. 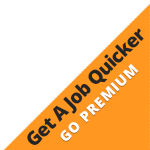 Everything you need from finding a job, accommodation reviews, ride shares, an active forum is all under the one roof. It’s free and easy to join and will make your search for fruit picking work that much easier. The Fruit Picking Jobs community is growing everyday with people from all over Australia and the world making up our 200,000 strong member base. Find out what membership option is right for you, join the community now, Basic or Premium, there's something for you.